You are at:Home»Chip Shots»BMW of North America and the Western Golf Association Name Hayden Bauschka of Carmel, IN the BMW Hole-in-One Scholar. 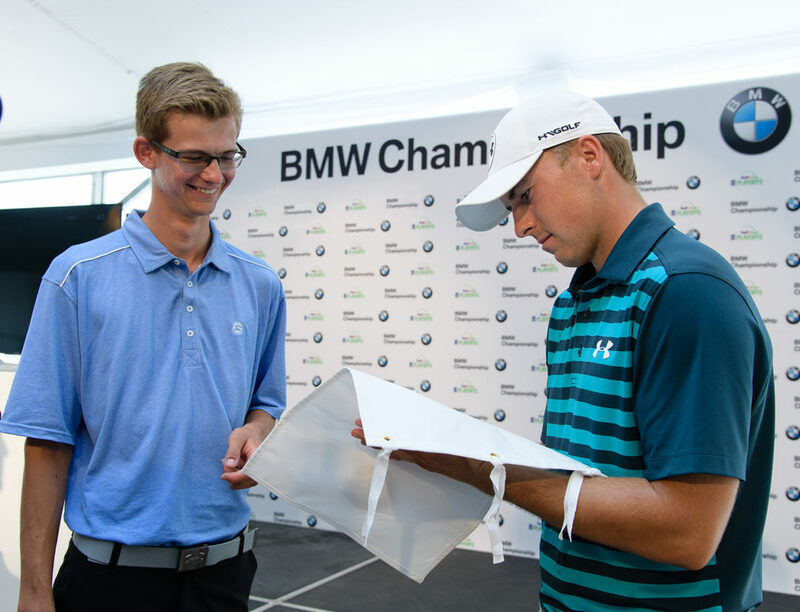 Hayden Bauschka received a full Evans Scholarship as a result of Jordan Spieth’s Hole-In-One at the 2015 BMW Championship. Carmel, IN (September 7, 2016) – BMW of North America and the Western Golf Association announced today that Hayden Bauschka from Carmel, IN has been named a BMW Hole-in-One Scholar, receiving a full Evans Scholarship worth $100,000 to Purdue University. Bauschka received the distinction as a result of Jordan Spieth’s hole-in-one during the 2015 BMW Championship at Conway Farms Golf Club in Lake Forest, IL.